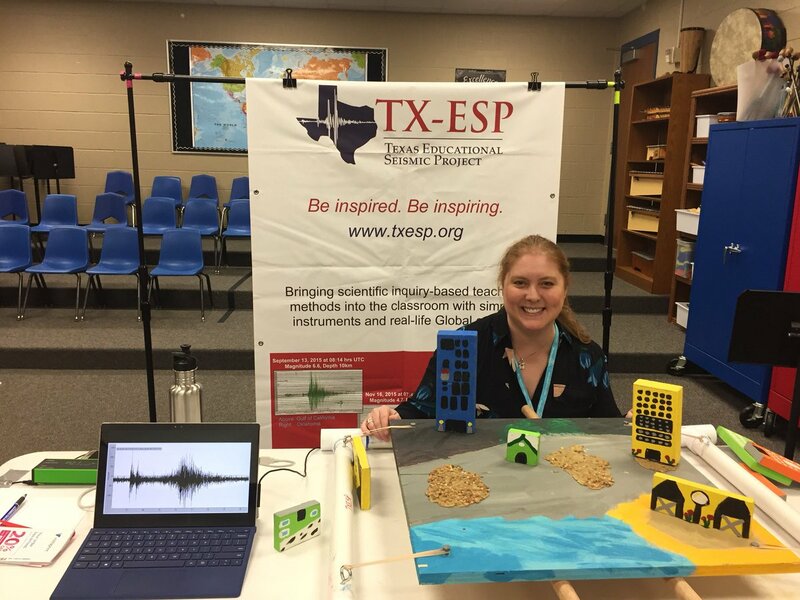 Texas Educational Seismic Project – Page 51 – Be Inspired. Be Inspiring. A Teachable Moment: a M7.3 occurred in the Philippines is observed below. Station E1TX is run by TX-ESP and Station WOBC is run by BC-ESP. A M6.1 earthquake occurred in Northern Canada yesterday, January 08, 2017 at 23:47hr UTC. The event was about 19kms deep and approximately 44 polar degrees away from station E1TX. On January 03, 2017 at 21:52hrs UTC, a LARGE M6.9 occurred in the small islands of Fiji (yellow arrow points to the first arrival after 22:05hrs UTC). Moderate aftershocks from M4.5 up to 5.7 have been a continuous occurrence since Jan 03. The main quake was ~17kms deep. An attempt was made to extract a seismogram, but the noise-to-signal ratio was very high. LISTEN to CA and Solomon Islands! DO YOU WANT TO LISTEN TO EARTHQUAKES, PART 3??? On December 8, 2016, multiple large earthquakes were recorded at E1TX. The station has seismograms for the M6.5 CA earthquake at 14:49hrs UTC, the main shock at the Solomon Islands at M7.8 at 17:38hrs UTC, and an strong aftershock at SI M6.5 at 21:56hrs UTC. The files below are separate – a series of audio files for the earlier California quake. The last 3 audio files are the recordings of the main shock, plus all aftershocks, in the Solomon Islands up until 00:00hrs UTC December 9, 2016. Can you distinguish the different wave forms in the audio file? Listen to Part 1 !! Listen to Part 2 !! Listen to Part 4 ! !